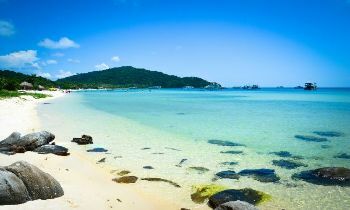 Phu Quoc Island is famous for wonderful and imposing places for enjoying. 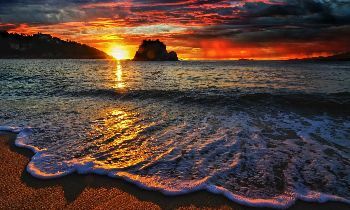 Furthermore, the place is also known as one of the best places to admire the beautiful sunset. 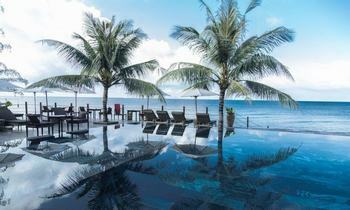 Therefore, the post will introduce attractive destinations in Phu Quoc for admiring the sunset. 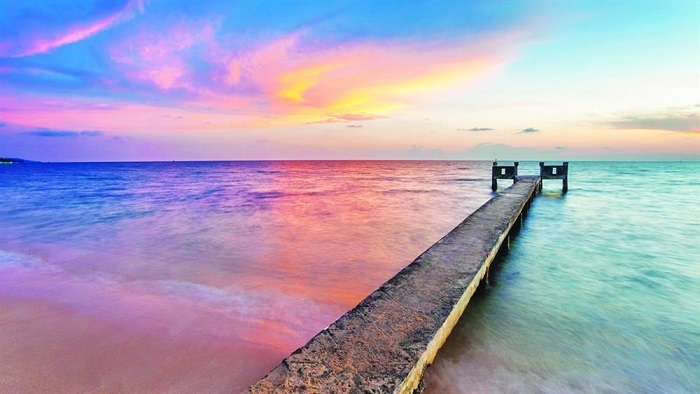 Located in the northwest Phu Quoc Island, Ganh Dau is wonderful and peaceful destinations for admiring the beauty of sky when sunset. 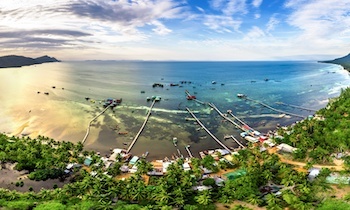 Ganh Dau Cape is not inferior to any place in Phu Quoc. The atmosphere here is cool all year round and there is a wild and charming sea. 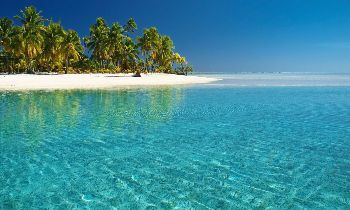 Furthermore, there is no intervention of a human, so the marine environment here is very clean and beautiful. Talking about Ganh Dau scene at sunset, it is even more wonderful. Afternoon down to the already peaceful sea is more peaceful. The warm sunset covering Ganh Dau nose makes nature here beautiful and sparkling. The sun nestled behind stone cliffs makes the stone walls become more mysterious and majestic. Not only beautiful Ganh Dau Cape but Ganh Dau fishing village in the sunset is also beautiful. 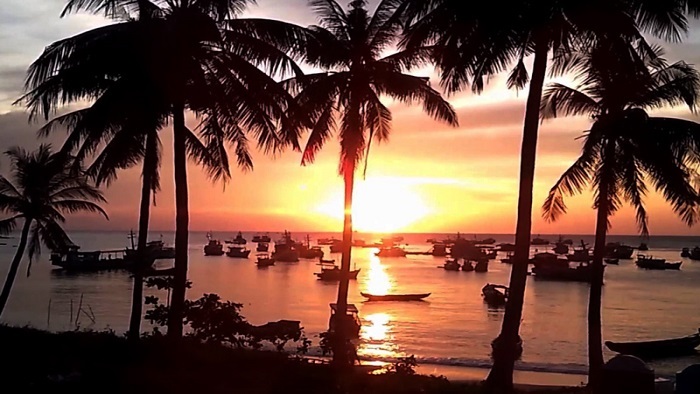 Therefore, it is a really wonderful choice for best place to admire the sunset on Phu Quoc island. 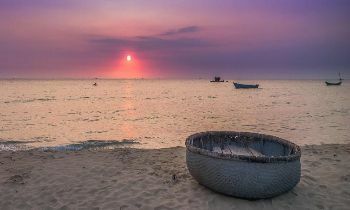 It is known as the famous destination for admiring sunset in Phu Quoc. 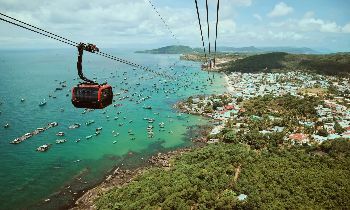 Not only is the sacred place in the spiritual life of the island people but Dinh Cau is also an indispensable place to watch the sunset in Phu Quoc tourist map. Located in a rather special place on a rocky cliff rising towards the sea, this place is full of the brightest rays. Guests will be surprised by visitors will be watching a sunset with faint aroma smoke or maybe just watching the sunset while enjoying a cup of the coffee afternoon - it is not a bad choice for tourists enjoy sightseeing with quiet space. 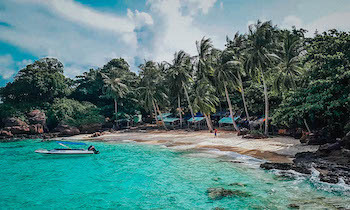 Located about 7km from the center of Duong Dong town on the way to the North Island, Ong Lang beach is a tourist destination in Phu Quoc. The resorts here are quite sparse. 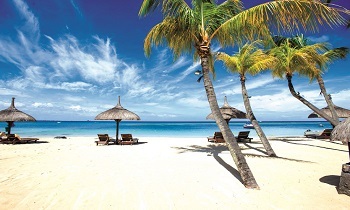 This is a beach where locals and dusty tourists often go to the beach to relax. Here, it is easy to see many foreign guests sleeping dreamily, sunbathing or reading books waiting for the way down. Young groups of Vietnamese guests often bathe, play, bake seafood on the shore and enjoy the sunset. Dam Ngang is surrounded by spectacular rocks. 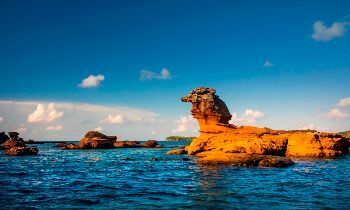 It has huge rocks, arranged in many unique shapes, including two largest parallel blocks of rock that look very much like a pair of lions lying flanking towards the big island. In order to get to this place on a sunset, tourists should move from early and choose an ideal location to stop the train or canoe. Around 17:30, the sun was like a fiery sphere on the back of a giant "lion pair", which was the moment the lion carried the sun. 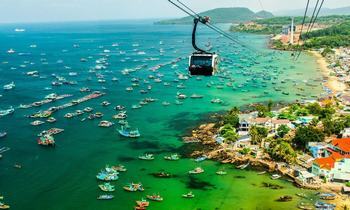 Hope that after the post, tourists will full information and experiences for traveling to Phu Quoc Island. 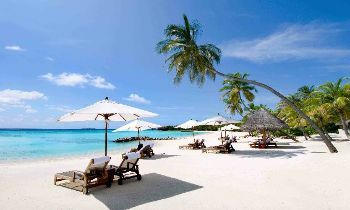 If you need more information for traveling to Phu Quoc Island, you don’t forget to visit our website.